With Lei in Paris, Dao Mingsi pulls all the stops to get Shan Cai's attention and it seems to be working. But what if Shan Cai sees someone who resembles Lei? Will she start to realize that her unrequited crush still lingers? Loser's punishment. No one can beat the F4 in bridge, and Shan Cai is no exception. The one who loses the bridge tournament must accept the punishment of the other, and the punishment that Dao Mingsi decides on is simply for Shan Cai to take him out for lunch. Nice move, our boy's finally got himself a date! Things heat up inside the elevator. So it's probably not the date Dao Mingsi had in mind when he proposed the bet. On the day of her "punishment," Shan Cai never intended to show up, but when it suddenly rains hard, she worries that Dao Mingsi would still be waiting at the gym and runs out. She finds him, waiting for her in the pouring rain. Out of guilt, Shan Cai agrees to treat him to a meal that she insists is one of the best she has ever tasted. As they enter the elevator to the restaurant, it shuts down, trapping the two of them inside. Dao Mingsi starts feeling extremely feverish. 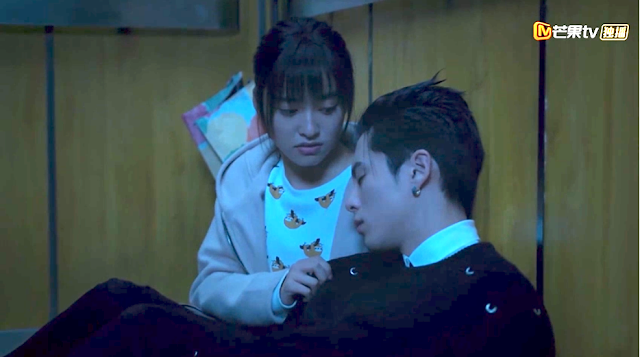 There's nothing like a lovesick puppy to melt the heroine's heart as Shan Cai does her best to take care of Dao Mingsi. She lets her lean on him and even takes off her own jacket to give to him. He's supposed to be sick, but the elevator scene then (2001 version) and now is still one of the sweetest. It's official, according to Dao Mingsi. The next day, Dao Mingsi goes to Shan Cai's classroom to return her jacket. He personally puts the jacket on Shan Cai and everyone in school goes crazy. The news quickly spreads on social media and no matter how much Shan Cai denies that they're dating, Dao Mingsi just replies with, "Shouldn't I introduce the person that I love to the world, rather than wait for others to win her heart first?" A disastrous ladies' night. 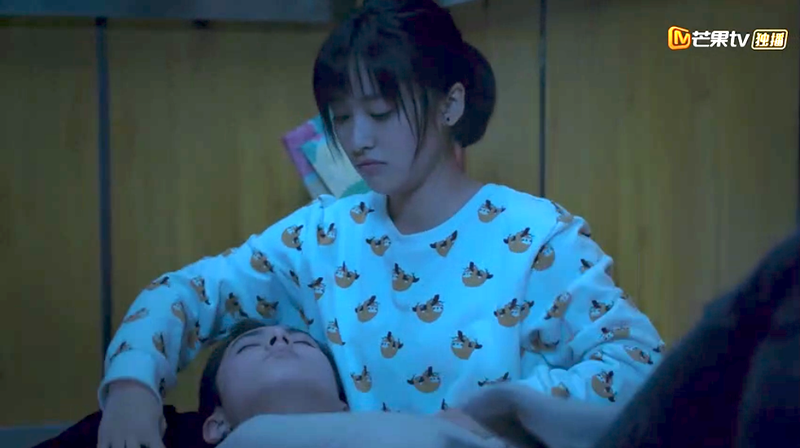 When Minghui sees how much Dao Mingsi likes Shan Cai, she invites Shan Cai to a ladies' night and if we've learned anything from experience, it's that nothing good can come from this. Shan Cai is not really known for her tolerance and with just a few sips, she becomes tipsy. Thinking that the pianist is Lei, she sits beside him to tell him, "I like you." The next morning, she wakes up in a hotel, undressed with only a robe on. A note beside her says, "call me when you wake up - Thomas. No one's really sure what happened that night but Thomas seems to assume that Shan Cai is now his girlfriend! Later on, Shan Cai gets a call from Thomas saying he is in Mingde University.